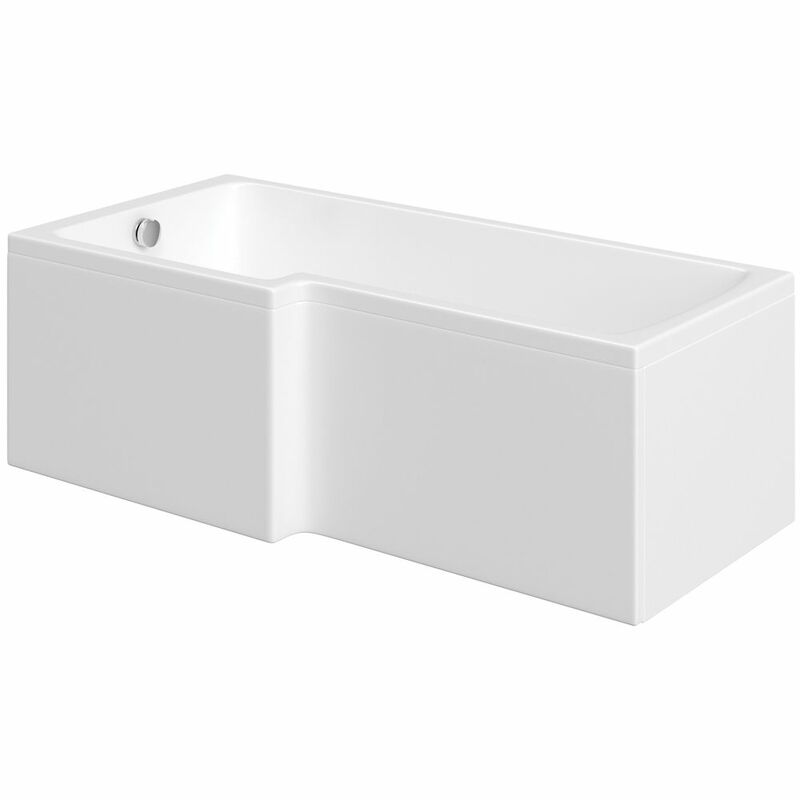 Our shower bath ranges come in a various styles, designs and sizes; ensuring maximum choice for your next shower bath. We pride our selection on great quality, functionality and durability whilst being friendly on the pocket. 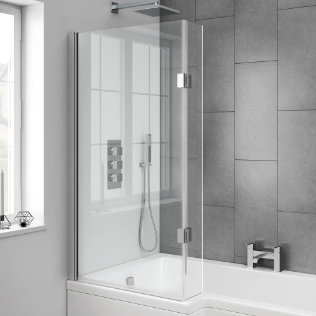 Our bath shower ranges come in a variety of designs, flattering styles and optional right and left-hand angled options. All the shower bath options on Bathroom Supastore come with a reinforced version which can provide extra peace of mind. Shower baths are becoming more and more popular when it comes to family bathrooms. 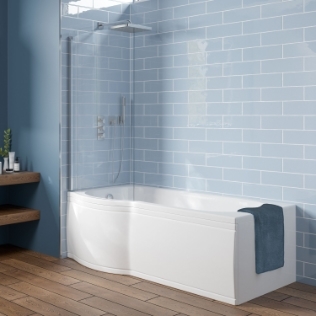 With space at a premium and many families opting to enjoy both showering and bathing -dependent on family commitments- the shower bath model is the perfect choice for the modern bathroom. Enabling busy families to have the best of both worlds. The child friendly shower baths are quick and easy to install to enable super fast installation of your bathroom project. The bathtub's showering area is great for little children and offers more space for little ones to play whilst bathing. 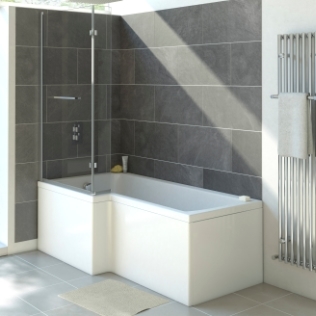 All of our shower baths can be purchased with optional complimenting accessories. With bath and shower screens and enclosures available. Your new bath shower can add real impact to your new bathroom. For safe, affordable and functional style- your new bath shower is only a click away!